If I have to use one word to picture Alaska in my mind, WILD it is. And this is exactly what me and my girlfriend experienced during our 3-week Alaska Road Trip. As a molecular biologist/geneticist who spent the past 7 years working in the laboratory to study the molecular intricacies of a developmental process, I’ve always had the desire/impulses to go into the wilderness, to witness and experience the delicacy, grandeur or whatever excitement brought by pure nature. After obtaining my Ph.D. this August, I decided to take some time off the Lab and travel together with my girlfriend Tammy who finished her Ph.D. half a year earlier than me. Looking at our long list of dream destinations, we figured that a road trip to Alaska would be the best start of our year-long journey – the highest mountain in North America, frequent explosive Aurora, colorful tundra, untouched wildlife, pristine glaciers, and more. What else do you expect? In retrospect, this was probably my best travel decision ever! As an introduction to our full detailed Alaska road trip report, please enjoy the pictures of our highlighted locations/activities, with full travel logs to follow in the near future. 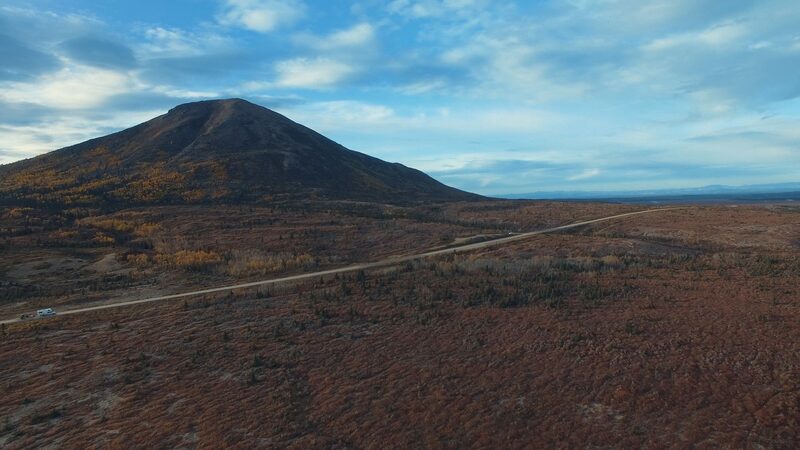 This is a perfect byway to explore along the way from Anchorage to Denali Nationa Park. 2 – Denali National park. This is an absolutely stunning place to dip into the Alaska wilderness. If you have a couple days to spend there, consider camping in the Wonder Lake Campground. If you are lucky, you can see pretty much all the amazing things you wish to see in Alaska. Make sure you do it in the daytime! The sceneries along each highway are unique to themselves. There are a lot of places to stop your car and take pictures, come and find your own perspectives. And there are countless spots for awesome drone photography/videography. Check out this short clip of what we saw along these highways. A visit to Alaska won’t be complete without a taste of the iceberg. We went for kayaking to see and hike on the Valdez Glacier. We also spent a day hiking up the Harding Icefield trail. Please stay tuned for our follow-up travel logs about each part of our Alaska Road Trip!